Young learners from various communities living in and adjacent to the Limpopo National Park (LNP) recently participated in a pioneering and innovative conservation awareness programme which aimed to empower local communities, create awareness and promote sustainability of key natural resources. 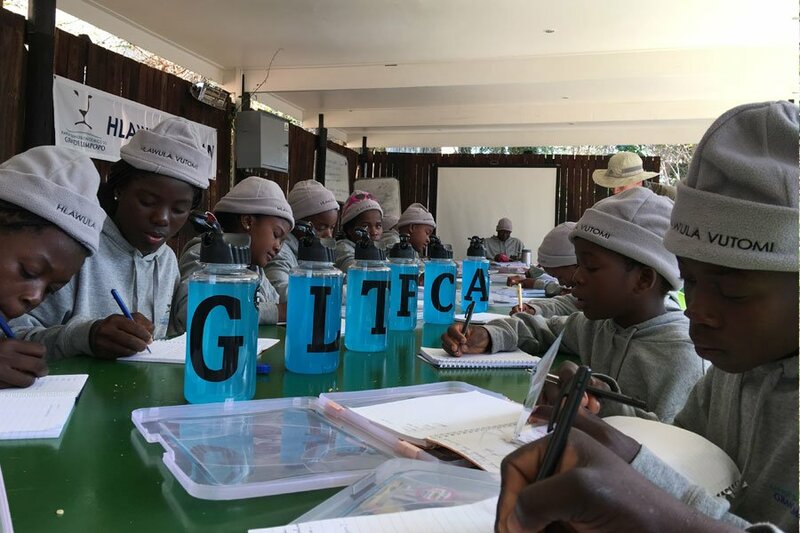 A total of 20 learners participated in the programme developed under the guidance of the Great Limpopo Transfrontier Park (GLTP) Joint Management Board and its implementing agencies in Mozambique (ANAC) and South Africa (SANParks). This 7 day pilot programme was implemented in collaboration with the Peace Parks Foundation (PPF) and the Laureus Sport for Good Foundation (Laureus) and was hosted at the Skukuza Science Leadership Initiative from 22 to 27 August 2016. The pilot programme was further supported by innovative local brand Mobicell and their technology partner MediaTek Inc. , who kindly donated 23 tablets to the varios schools involved in this exciting initiative. The curriculum for the programme focused on sports based and hands-on learning activities to help empower youngsters by using sport as a tool to educate and inspire positive change. Although the youngsters ranged from 11 to 20 years and hailed from the four remote villages of Mavodze, Chibotane, Macavene and Mahlaule, they soon found common ground and formed strong bonds through the shared enjoyment of soccer as well as other games such as Frisbee throwing or Chess. The young leaders also participated in a number science experiments which included vital role-model engagement with field rangers, researchers, teachers and their peers, which provided invaluable insights on opportunities for careers that lie in conservation and natural sciences. As part of their life-skills development the young leaners were equipped with cameras and cell phones and taught how to capture their experience on film, and share through social media. A core focus of the pilot programme was to instil a steadfast philosophy of “Hlawula Vutomi”, meaning to “choose life” for themselves, their communities, as well as nature’s plants and animals. They were taken on game drives and guided walks in the KNP bushveld and educated on the interconnectedness of man and nature. Another key learning reinforced throughout the week was to bring the youth to understand that their actions have direct consequences – not only to the environment, but to themselves and their communities. Highlighting that Rhinos are not the only victims of poaching as many of the youth are often themselves exploited as victims of organised wildlife crime. The overarching goal of the programme was to bring these young participants one step closer to understanding these challenges, empowering them to choose life, and enabling them to become ambassadors for conservation back into their own communities. The hope is that these young leaders will return to their communities armed with skills and tools that enable them to share their newfound knowledge and insights with their family and peers and inspire a shift in mindset. This pilot programme forms the first step in the development of a long-term vision for youth interaction and education between the partner countries in the GLTFCA. It furthermore compliments plans for cultural exchanges and more formal training opportunities as proposed in the broader GLTFCA Integrated Livelihoods Diversification Strategy for 2016 – 2030.